The bass-music world is seeing new heights in 2018, with more festivals, more supporters, and overall improvement of the events. For those who are familiar with the festival scene, the biggest names will return this year, but attending may be costly to your wallet. This Blog will take a closer look into which of these festivals are actually worth going to, for those trying to save a little extra. 10. Paradiso – Forget what you know about the typical festivals at music halls, sporting arenas, and theaters; Paradiso returns to the Gorge amphitheater for its 7th annual show. This venue sits above Washington’s Columbia river with 360 degree views of breathtaking scenery. With this festivals combination of light shows, visual screens, and natural scenery, this is one event that wont escape your memory. Plus the amenities include free water stations, multiple merchandise tents, and food vendors. The value Paradiso is ever increasing with bigger lineups each and every year, and although this years lineup has yet to be announced, previous years have held big names like Seven Lions, Zeds Dead, Porter Robinson, Getter, and Flux Pavilion. And if you’ve taken a look at the entire lineup you’ll notice that Paradiso has had an increasing influence of bass music, something to look out for when choosing your music scene. At this point you’re likely wondering where this festival sits in your budget. Ticket prices started at $120 during the pre-sale, and rose to $220 upon final sale; compare this to bigger festivals such as EDC and Coachella where ticket prices range from $350-500. In addition, Paradiso offers big competition to these big names as it grows each and every year, competing in music production and ambience. Further, Paradiso offers on-site camping which can be a much cheaper option for those who options are limited. Hotels can cost upwards of 300$ for the weekend and requires the need to pay for your travels to the venue, but this years camping includes several options/tiers of $107, $209, and $299, depending on which type of campsite suits your wants and needs. Plus, all campsites are within walking distance to the venue and allow you to spend your days with all other festival attendants. Overall, the value of this event is ever apparent making it a must, especially for those living on the west coast. 9. Bassnectar Spring Gathering – Bassnectar is back in 2018 with a brand new event for all the dedicated bass-heads out there. Spring gathering is the perfect way to start off the spring season and heres why; If you have yet to see a live show from Bassnectar, then this one is quite the privilege seeing the recent and final release of his new albums Reflective and Naux Faux. Over the past decade Bassnectar has been touring all over the US and is credited for his massive fanbase known as the “bass network”. As he lands in Chicago on March 30th and 31st, spring gathering will include back to back nights of bassnectar sets as well as some opening performances by Rezz, Troyboi, Ivy Lab, and others. On the Spring gathering web page, they described it, “For this first seasonal gathering we will celebrate the dawning of Spring: rebirth, regeneration, and a radiant gratitude for life. And the whole team is amping up on all levels: art, music, interactivity, and community (Bassnectar).” As one can tell, this festival is all the hype in this years talk, and from reading the websites info it’s easy to see just how much though and effort he puts into his festivals. Now, where does this one sit in the budget? Ticket prices start at $119 for both days and vip tickets sit at $239 and according to the website, “The VIP experience includes: One VIP Ticket to the Chicago Spring Gathering, limited edition poster, early entry, exclusive space inside the venue including, viewing platforms with seating, VIP restrooms,and VIP Bars (Bassnectar)”. These tickets are relatively inexpensive in comparison to other two-day festivals, and with the money you save you can afford to pay for hotels and transportation. Those Living in the region have a significant price advantage, but for those further out a plane ticket is most likely needed. With great quality, support, and pricing, Spring gathering sits strong at number nine. 8. Lightning in a Bottle – Now for something a little different… Lightning in a Bottle is an up and coming festival thats attracting a lot of attention to the west coast. This festival hosted by The Do Lab includes four nights of entertainment on may 23rd-28th and is located on the edge of lake San Antonio, Bradley California. It’s unique on all aspects; for starters this event is well known for its venture into the artistic world. LIB includes activities such as live painting, art installations, artistically designed stages, and what they call “art performances”. Further attractions include lake access, family workshops, yoga/wellness, and other side activities. Sitting in wine country, the festival a vast natural beauty in addition to the modern beauty of art installations. All this entertainment summed up will cost anywhere from $295-$325 depending on the date of purchase. Noted, this price range is slightly above previous festivals, but taken into account that this festival is twice as long, it’s well worth the leap. To make the festival all the more comfortable, they offer camping for all nights of attendance which includes access to all amenities/entertainment listed above. Unfortunately this camping pass starts at $130, but campsite includes all the people fit into one car and a parking spot and divided amongst several others, a lot of money can be saved. In addition the lineup has already been announced and came back harder than ever with bass, come-up artists like Tipper, Bleep Bloop, Esseks, and Partywave. In addition, those looking to go here for the musical performances wont want to miss out on the Android Jones live visual set behind Tippers’ musical set. Seeing how unique and creative this event is, puts in in the number 8 spot with very fair pricing. 7. The Untz – Yet another hidden gem, the Untz is especially grand in 2018, taking place in Mariposa, California. “The underground bass community will reunite once again in this beautiful mountain community less than an hour from the mouth of Yosemite National Park and just 3 hours east of the Bay Area. The best and brightest up-and-comers in the bass scene will return to Mariposa next summer (TheUntz)”. Some of these bass artists include UKF icon, Caspa and and lesser known producers such as Chee and DMVU who have been putting serious time in the bass music industry. Ticket prices start at $130 and extend to $200, a relatively cheap purchase for a weekend festival. In addition you can purchase camping passes for $150 which can be shared with anyone you show up to the event with. They even offer an early-bird pass that includes extra live performances a day before the main event starts, but unfortunately adds another $70. This festival is well worth the pricing though as featured artists are hard to find anywhere else. 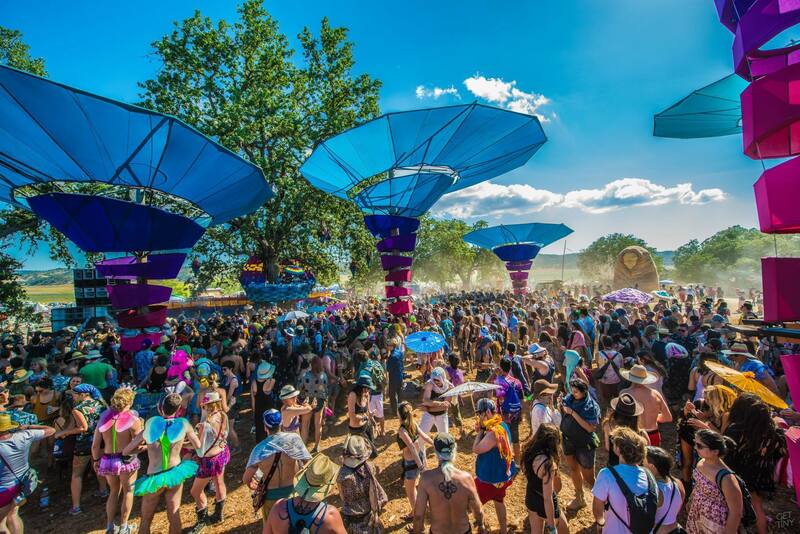 The vibes here are the most valuable attribute, with limited amount of tickets sold to 3,000 people, it avoids the typical hectic festival lines that most festival goers have experienced. To out this in comparison, Coachella experiences roughly 50,000 per day. Lots of personal value is seen in the festival and is a huge go-to for those who like to avoid the large crowds. Overall with its natural beauty of the Yosemite national forest, low prices, and bonus options, The Untz is a high value festival keeping it here at number seven. 6. Bass Canyon – Back at the Gorge amphitheater in George, Washington; a new festival comes this summer 18′ bringing a huge lineup of heavy-bass artists. “3 Days of non-stop Bass Music featuring Excision and friends. No conflicts single stage festival; See ALL your favorite artists!” This years lineup includes names such as Excision, Nghtmre, Liquid Stranger, Rusko, Zomboy and Herobust, all taking the new stage for one hour each night. If you don’t know why the Gorge is appraised, just check out their website, or read the number 10 post of Paradiso. Now backed up by a stacked lineup and one of the best venues in the world, Bass Canyon offers even more value in price: 125$ for a 3-day GA wristband (three day access). Even further, “4 Nights of camping at the gorgeous Gorge Amphitheatre”, passes starting at 109$ which includes your car and all who can fit inside. But for those staying in nearby hotels, houses, etc., Bass Canyon has partnered with BUS.com to shuttle festival goers back and forth to these nearby destinations. Finally, the stage, such a simple concept that makes all the difference. This stage takes a classic style with wide floors to fit an entire band inside, for those playing with a live band. But although classic, the stage contains “Paradox stage production with extra lasers, lights and madness”, a popular addition for the rave crowd. With all this value summed up into 125-234$ its an absolute must for those preparing to make big memories this summer. 5. Holy Ship 12.0 & 13.0 – Diving into the Top 5, Holy Ship is the left turn. It is exactly what it sounds like, a festival on a ship, as it says “Step onboard the Norwegian Epic and prepare to be amazed by our home at sea. On top of all the services and amenities each Shipper receives as part of their Holy Ship! reservation, the Epic offers a ton of additional perks to make the experience even better!” These two events start and return to Cape Canaveral, Florida, while traveling to Great Stirrup Cay in between. If you’re thinking that this event is the best of both worlds at sea with a performance, you’ll be even more impressed with the lineup. This year includes special guests such as Rezz, Whatsonot, Excision, and AC Slater, a good mix all around with several different genres and live performances. Better yet, all performances are split up into seven stages based on genre, so you can stay in your own scene. Moving on, This Events value has several key points, for starters it cuts the cost of nightly accommodations with a 2 in 1 ticket; following, the event includes “On your fourth sailing, you are invited to attend the exclusive OG Party. Receive the coveted Holy Ship! robe and party amongst the most seasoned shippers with free drinks, snacks, and sick beats to keep the party bumping.” All in all a great value for your money and time.